How to check KVPY Result 2018 - Download here for SA, SB, SX How to check KVPY Result 2018? How to check KVPY Result 2018? How to check KVPY Result 2018? - Indian Institute of Science (IISc) Bangalore has announced KVPY 2018 result of the aptitude test on December 20 in the online mode. The result of KVPY 2018 is declared separately for all the three streams, i.e., SA, SB and SX. This year, KVPY was conducted on November 4, 2018 in 99 major cities across India. Candidates who qualify in the KVPY result 2018 for the aptitude test will face a personal interview before the final result is announced. The final KVPY 2018 result will be a compilation of the marks obtained by candidates -75% weightage to scores in aptitude test and 25% for the performance in the interview. The final result of KVPY 2018 will be announced tentatively in April 2019. Know the step by step procedure to check the KVPY result 2018 below in this page. Step 1: Visit the official website of KVPY, the link is provided on this page. Step 2: Choose your stream and category, from the given table. Step 3: The PDF list will open in a new window. Step 4: The list would contain serial numbers, roll numbers and name of all the qualified candidates. Step 5: Look for your name, you can either do it manually or by using ‘Ctrl+F’ (Find Command). Step 6: Print out the list and save a soft copy too, for further uses. How is the KVPY Result displayed? KVPY Result is published differently for all the three streams, i.e., SA, SB and SX. The result will come in two stages - 1) Written Aptitude Test and 2) Final Result (after Interview). Both the result of KVPY 2018 is available on the KVPY official website. 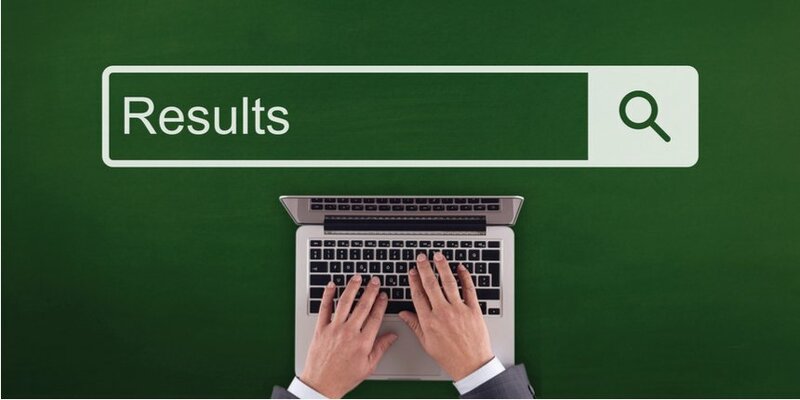 KVPY 2018 Result is available in the form of lists containing names, roll numbers and serial numbers of the candidates. Students will have to look for their names or roll numbers in the list. Written Aptitude Test will perform as a screening test and students who qualify in this will acquire the schedule and venue for the Interview. After the Interview is over, the marks from the Written Aptitude Test as well as the Interview will be compiled in 75% and 25% ratio, respectively and the final KVPY Result 2018 will be produced. What are SA, SB and SX streams? Students enrolled in class 11 can apply. Eligibility: At least 75% marks with Maths and Science subjects in class 10th. Students enrolled in class 12 can apply. Eligibility: A minimum of 75% marks in Mathematics and Science subjects in class 10th and 60% marks in Mathematics and Science subjects in class 12th. Only if the applicant joins an undergraduate programme in Basic Sciences* immediately after plus two (without a drop year). Students pursuing their first year of UG in Basic Sciences*. Eligibility: A minimum of 60% marks in Mathematics and Science subjects in class 12th and 60% in the 1st year final examination of their undergraduate. Continuation of Scholarship: Only if the applicant pursues further studies in Basic Sciences. * Basic Sciences Courses include B.Sc./B.S./B.Stat./B.Math./Int. M.Sc./Int. M.S. During 1st to 3rd years of B.Sc., B.S., B.Stat., B.Math., Int. M.Sc., Int. M.S., SA/SX/SB, the candidate will receive a sum of Rs. 5,000 monthly and an Annual Contingency Grant of Rs. 20,000. During M.Sc./4th to 5th years of Integrated M.Sc./M.S./M.Math/M. Stat., the candidate will receive a monthly fellowship of Rs. 7,000 and an Annual Contingency Grant of Rs. 28,000. Apart from these monetary benefits, candidates will also be encouraged to participate and perform in summer programme or projects each year from the second year of their undergraduate. KVPY fellows will also be issued ID cards which will grant them access to National Laboratories/Universities, libraries etc. How to renew KVPY scholarship? 1) The scholarship will be cancelled if the student opts out of Basic Science courses in school/junior college/university. 2) The minimum level of academic performance should be 60% and it is necessary that the student passes all the subjects. 3) Participation and performance in Summer Camp in the first year and afterwards if required. B.Sc./B.S./B.Stat./B.Math./Int. M.Sc./M.S. in Chemistry, Physics, Mathematics, Statistics, Biochemistry, Microbiology, Cell Biology, Ecology, Molecular Biology, Botany, Zoology, Physiology, Biotechnology, Neurosciences, Bioinformatics, Marine Biology, Geology, Human Biology, Genetics, Biomedical Sciences, Applied Physics, Materials Science, Environmental Science or Geophysics. How does KVPY help students? 1) Monetary Benefits: KVPY provides monetary benefit monthly for as long as the candidate adheres to the guidelines put forth by authorities. The students, thus, have a constant source of money which provides security and does not get in the way for future endeavors. 2) Impressive on your Résumé: Clearing an exam which is sought after by the brightest minds in the nation surely looks good on your résumé. Being a KVPY fellow signifies that you battled with the competition and won, which signifies all the quality an employer looks for in an employee. 3) IISc: Indian Institute of Science (IISc) is highly coveted in India. Cutoffs reach the sky as there is only a single institute like this India, with no other branches. The uniqueness of the Institute mixed along with the credibility makes IISc a dream for students to be in. Admission into IISc is easier if the candidate is a KVPY Fellow. 4) Opportunities of Self-growth: Man must always strive to grow and KVPY is one fellowship that can do wonders for students who actually strive to achieve. KVPY is the gateway to Summer Camps, libraries, laboratories etc. all over India.